The luxurious villas (14-pers. NL-3221-26 and NL-3221-27) are built under exclusive architecture. They are accomplished in a distinctive, typical marine style. Because of the planning with verandas, balconies and terraces you taste the outdoor life as it were. The interior is luxurious and complete. 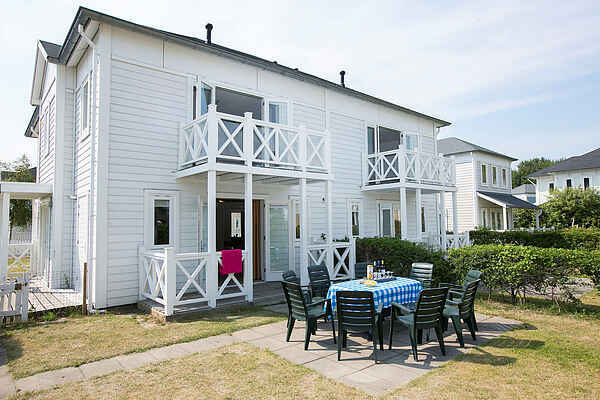 Therefore you have access to a private sauna, steam cabin, a whirlpool, underfloor heating and three bedrooms in the NL-3221-26. At both villas you have access to a partially fenced garden with garden furniture and with the NL-3221-26 to lounge beds. The NL-3221-26 is extremely child friendly. As a result of which you will find a childrens bed, stair fence, protected wall plugs and a sliding carriage. Surroundings: A versatile environment which is excellent for many purposes; not far from the sea (Rockanje, Ouddorp and Renesse), culture: the historical fortress cities such as Willemstad and Brielle, the Old City Hall, the Rien Poortvliet museum in Middelharnis and the Expo Haringvliet in Stellendam. You can also visit Animal farm Blijdorp in Rotterdam.